There are plenty of options: from simple manual installation tools and standard tools through to complete systems. 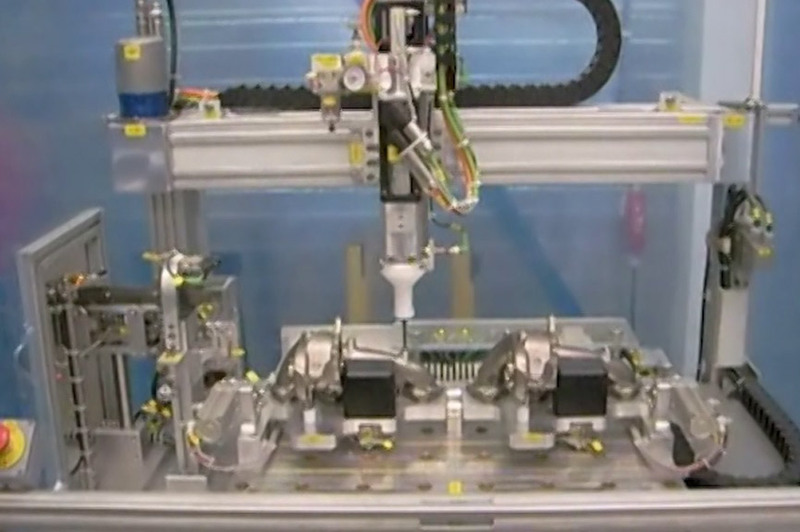 Our assembly solutions are designed as fully automatic or semi-automatic workstations. Depending on your requirements, parts can be handled by the operator, by a handling system, by a rotary indexing system or by a transfer system. 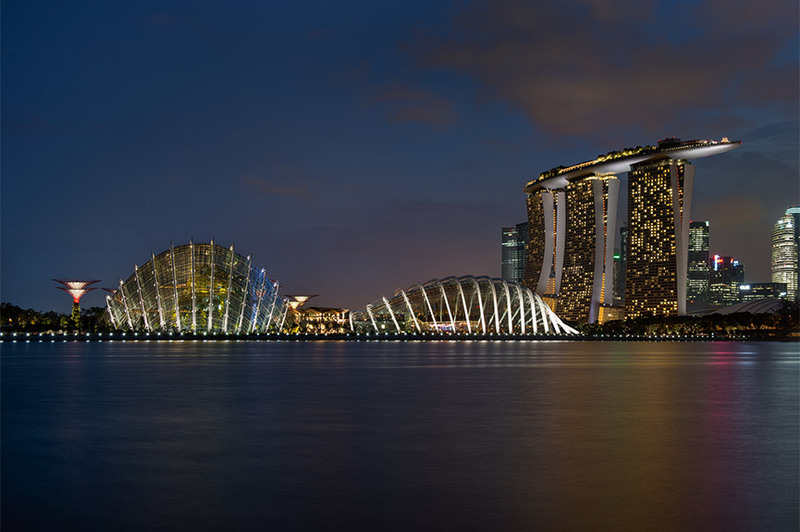 Take a look at our assembly solutions. HELICOIL® thread inserts create high-strength, wear-resistant, heat-resistant threads of highest precision by transferring the force from flank to flank into the pilot thread. The reduced diameter of the HELICOIL® Plus in the first thread ensures that the thread insert can be screwed in like a screw. Installing HELICOIL® thread inserts is easy and cost-effective, because there are only a few basic rules to follow. For efficient assembly, whether for a single application or for high-volume production, we offer a wide choice of installation tools – from manual to automated. The HELICOIL® system combines conformance to standards with easy installation. HELICOIL® can be found in the automotive sector, in aerospace, and in general industry. 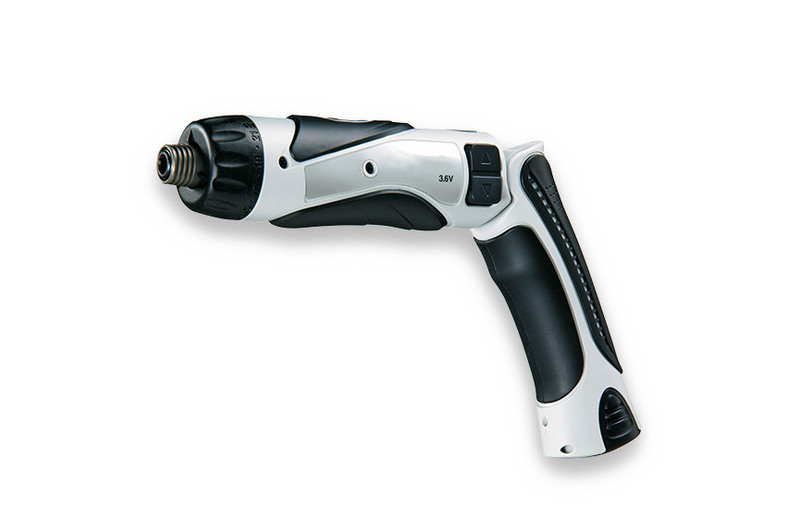 Our installation tools are used for repairs and maintenance, in small and medium-scale production with hand-operated assembly tools, and in automated high-volume production. HELICOIL® Plus thread inserts comply with a variety of requirements and industry standards, including those in the aerospace industry, and feature other approvals as well as suitability tests, e.g. in the field of power plant technology. 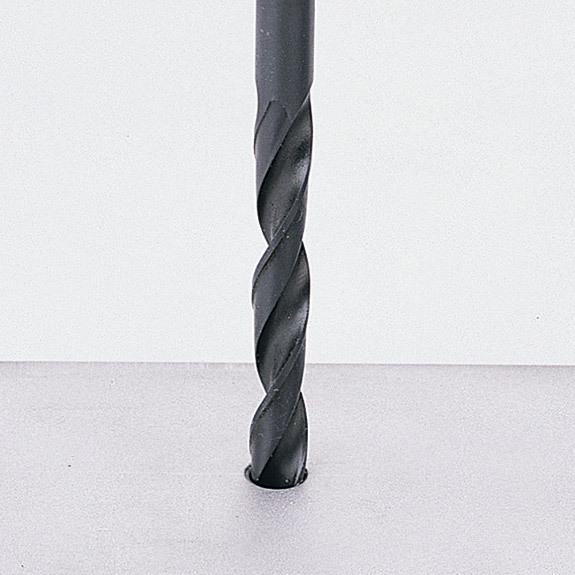 Standard twist drills are used. For suggested diameters and core hole depths, please refer to our catalogues "HELICOIL® Plus – The thread technology for high-strength fastenings" – Metric threads (0100) / Imperial threads (0101). 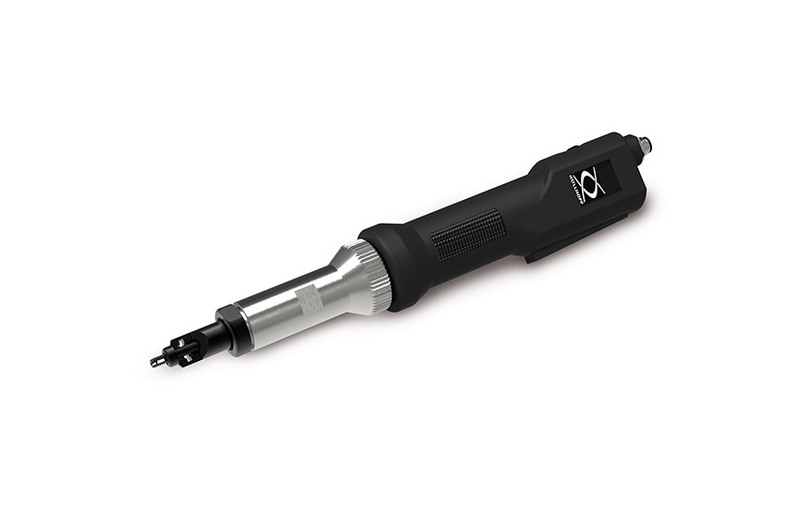 Use a 90° cutter for countersinking and deburring before thread cutting. 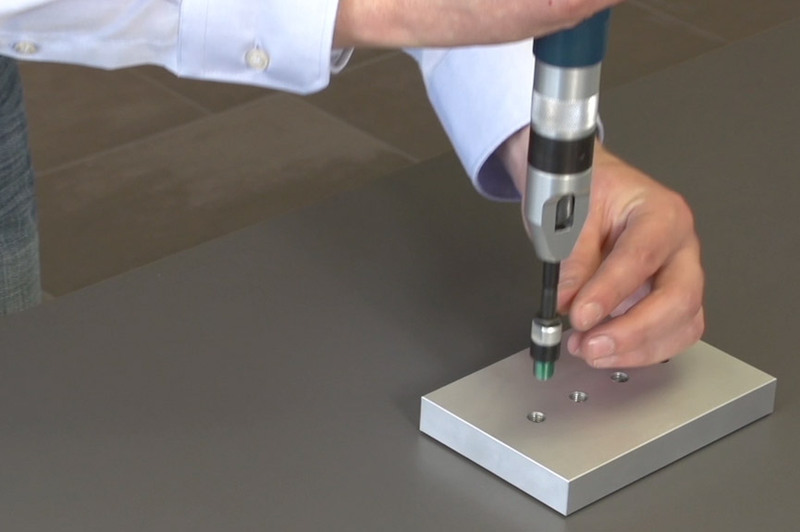 External diameter of the countersink = DHC + 0.1 mm. 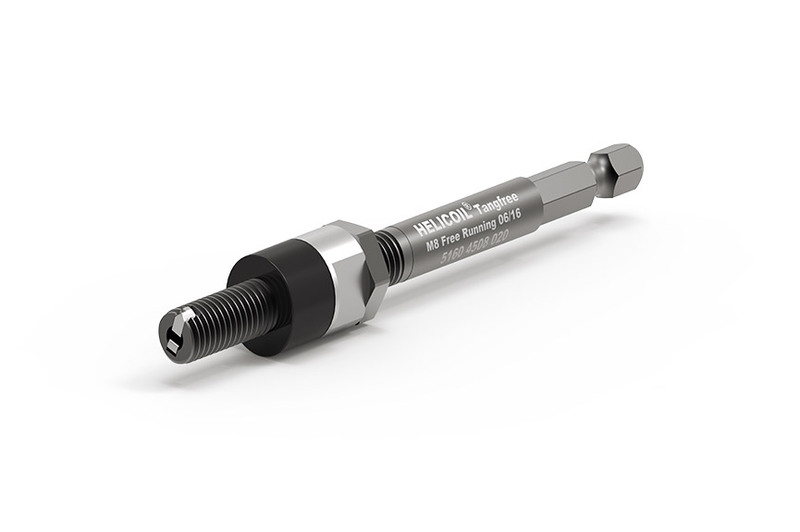 System-specific original HELICOIL® taps should be used for cutting the HELICOIL® Plus pilot thread. 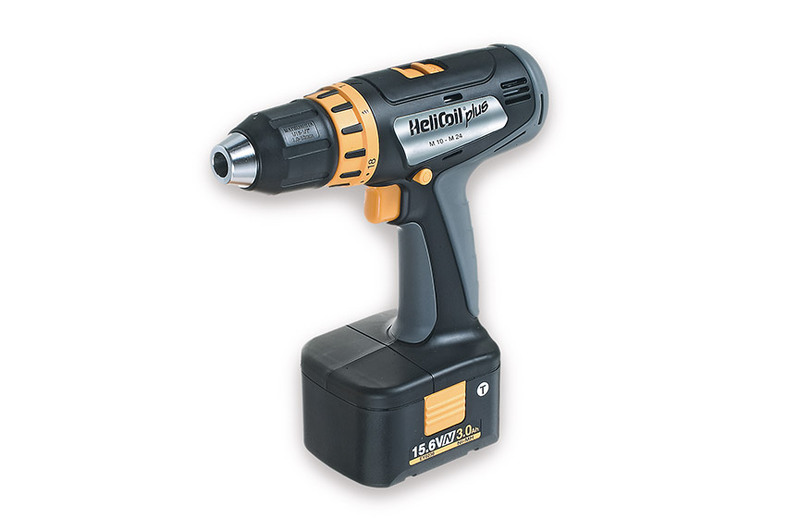 For recommended hand and machine taps, please refer to our catalogues "HELICOIL® Plus – The thread technology for high-strength fastenings" – Metric threads (0100) / Imperial threads (0101). 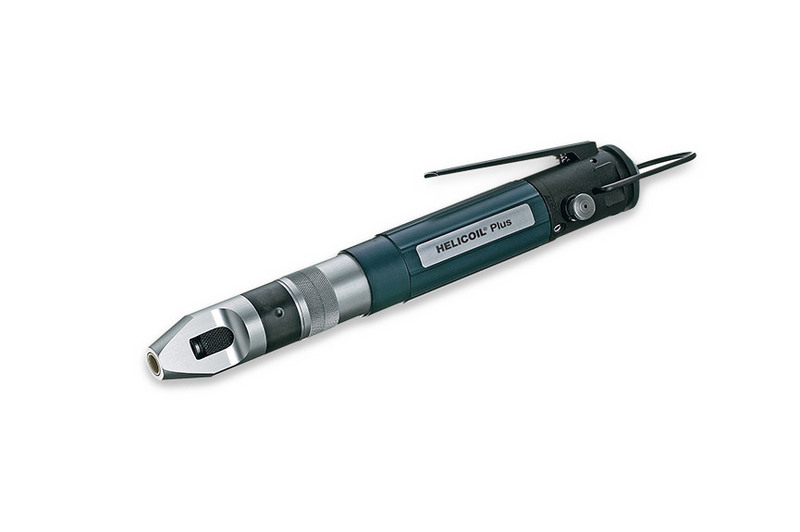 Use HELICOIL® plug gauges to check the trueness to gauge of the pilot thread. Installation is possible using manual or mechanical installation tools or automated systems. Screw the HELICOIL® Plus thread insert onto the installation mandrel with the driver tang facing downwards (1), insert it into the prewinder (2) or place it on the fly-over tool (3), and place the tool on the tapped hole. 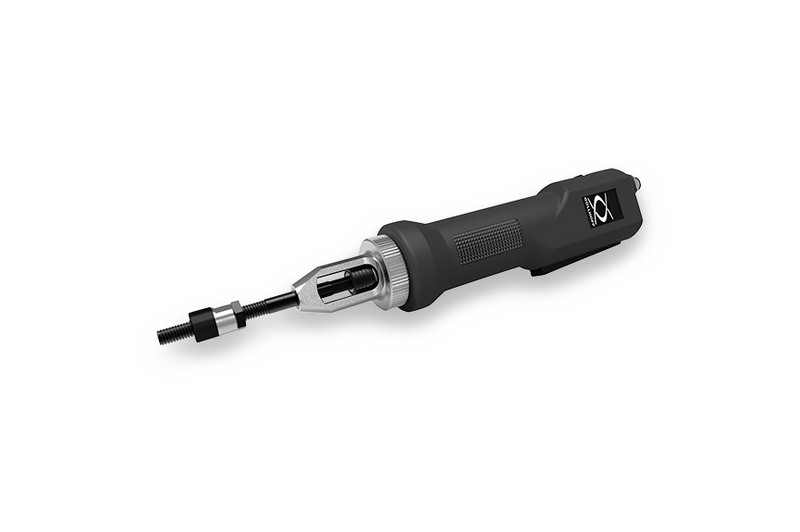 Screw in the thread insert by turning the mandrel (1), spindle (2) or fly-over tool (3) by hand or by operating the drive. It must be installed at least 0.25 P below the surface. To create a through-hole thread, the driver tang must be broken off at the notch. This is done using a tang break-off tool (1 and 2). For thread sizes M 14 or bigger with a fine or standard screw thread, the driver tang can be removed using long-nose pliers (3). For blind-hole threads, there is no need to remove the tang, provided that the maximum screw-in depth t3 of the screw is observed. 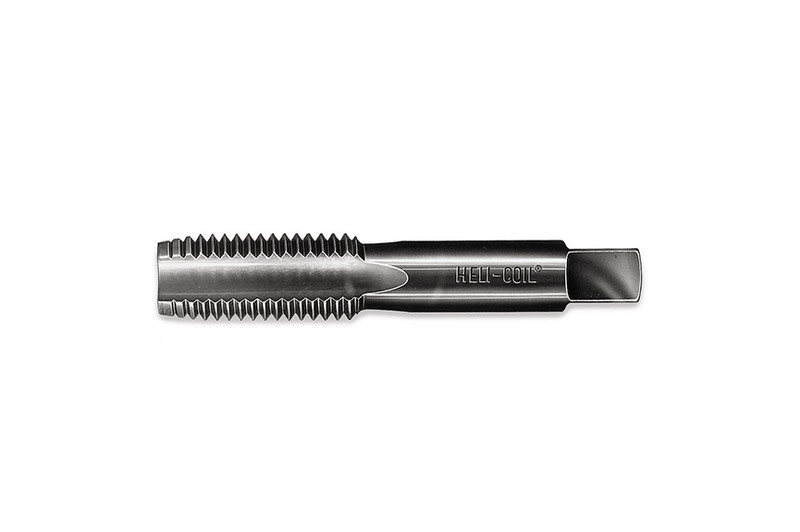 System-specific original HELICOIL® taps should be used for cutting the HELICOIL® Plus pilot thread. 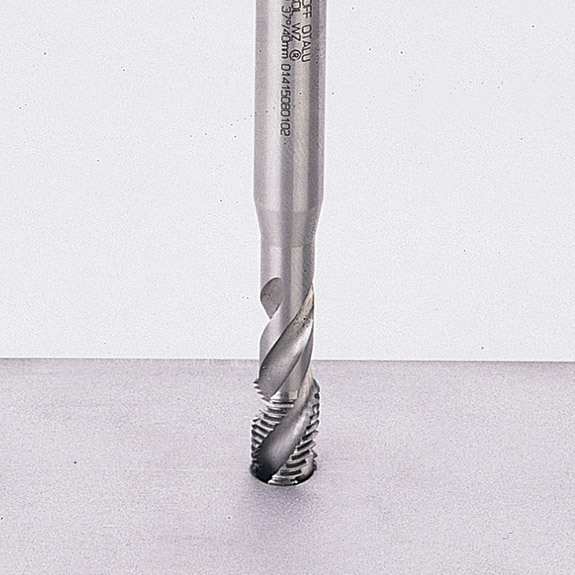 We supply a range of appropriate hand and machine taps. 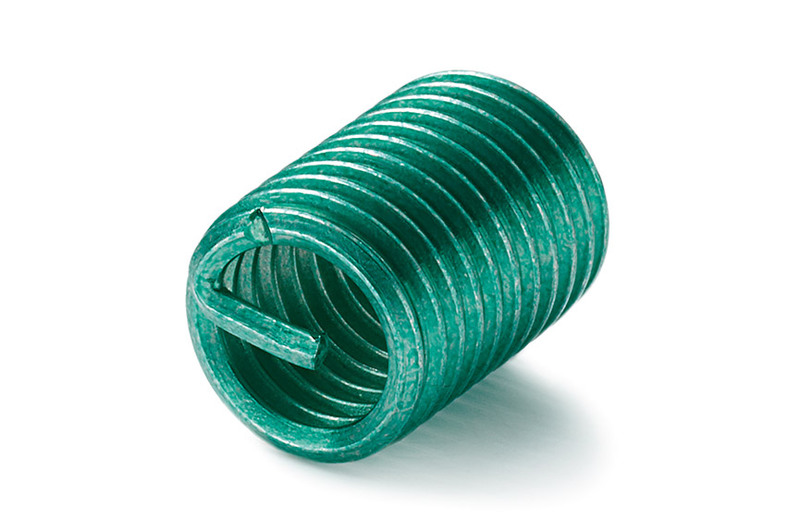 Suitable for through-hole and blind-hole tapping. 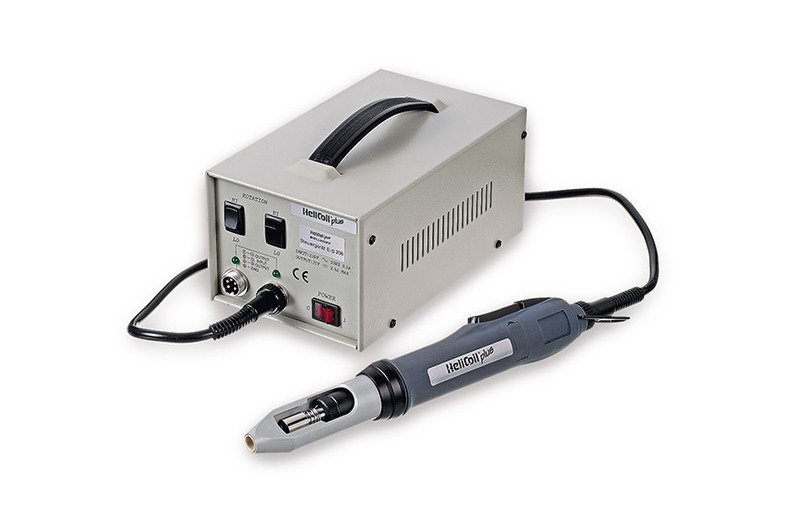 For cutting materials of strength up to 700 N/mm2. Only suitable for blind-hole tapping if sufficient tapping space is available. Minimum requirement: 1 d deeper than the fully cut thread length. For more information, please refer to our catalogues "HELICOIL® Plus – The thread technology for high-strength fastenings" – Metric threads (0100) / Imperial threads (0101). For through-hole and blind-hole tapping. Depending on your application, there are various machine taps to chose from. For more information, please refer to our catalogue "HELICOIL® Plus – The thread technology for high-strength fastenings" – Metric threads (0100) / Imperial threads (0101). 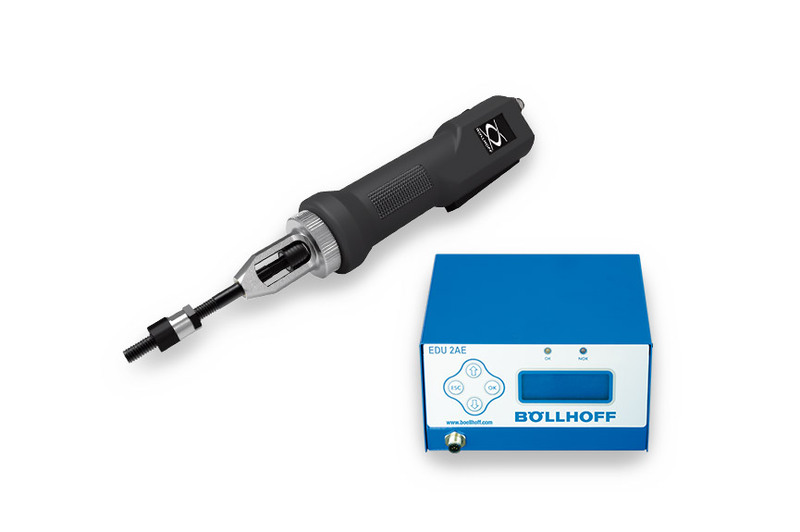 For cutting HELICOIL® pilot threads in damaged or stripped metric coarse and fine threads. Non-cutting production of internal threads for blind-hole and through-hole threads. For checking the trueness to gauge of pilot threads created with a thread-cutting tool, we can provide plug gauges in diameters M 2 to M 36 x 3. The installation mandrels in different types are designed for installing HELICOIL® Plus and HELICOIL® Tangfree Free Running and Screwlock. 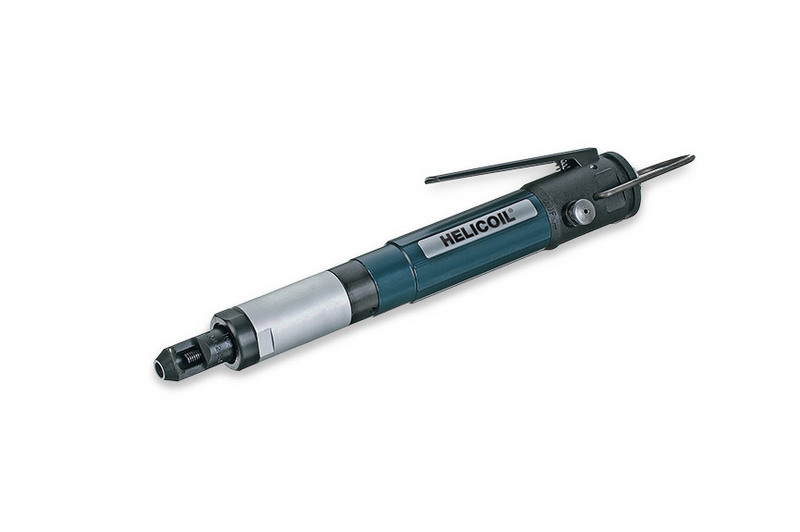 Installation mandrel for installing HELICOIL® Plus Free Running and Screwlock, dimensions M 2 to M 24. With hexagon head DIN 3126 – E 6.3 / DIN ISO 1173. 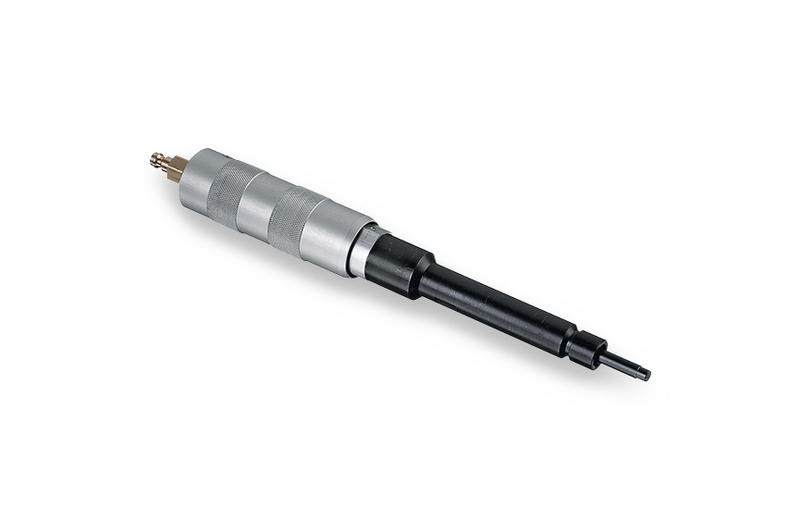 Installation mandrel for installing HELICOIL® Tangfree Free Running and Screwlock, dimensions M 3 to M 14. For more information, please refer to our catalogue "HELICOIL® Tangfree – The tangless coil thread insert for a high-strength thread " (0150). 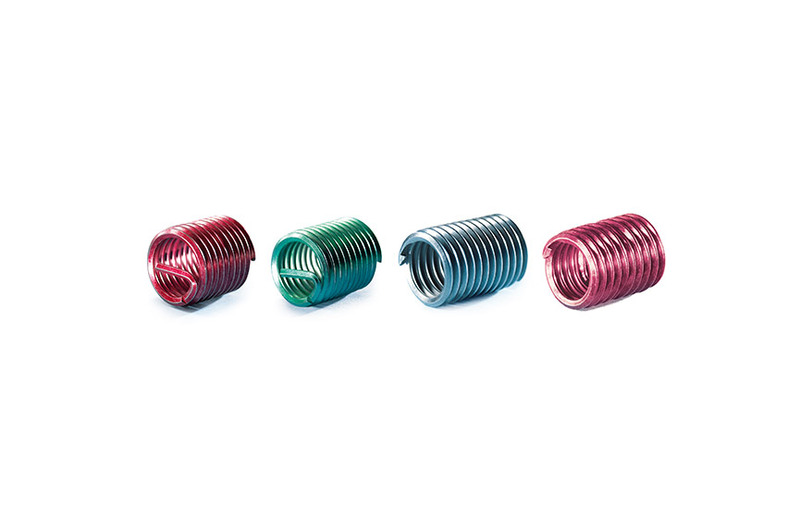 For processing HELICOIL® Plus and HELICOIL® Tangfree thread inserts. 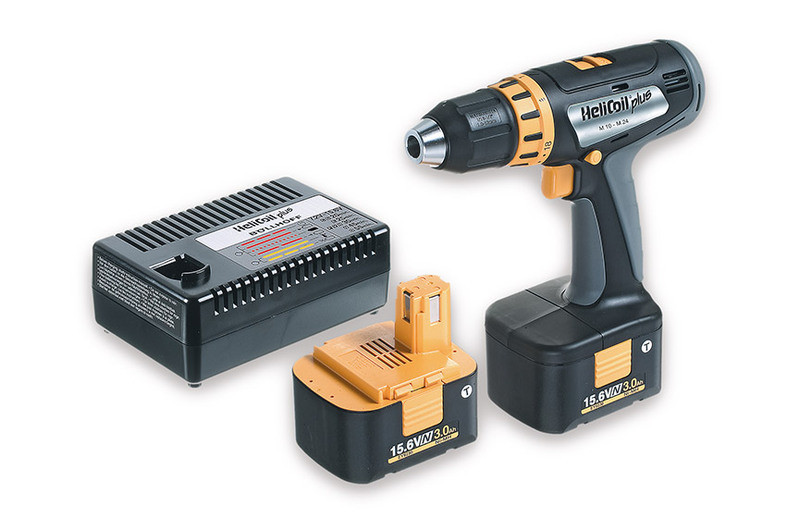 There are essentially three different types of installation tools. The choice depends on the number of HELICOIL® thread inserts to be processed, the location of the tapped holes in the workpiece, and the thread size. For M 2 to M 6 thread inserts. *The corresponding installation mandrel must be ordered separately. For M 7 to M 24 thread inserts. For M 4 to M 10 thread inserts. For M 4 to M 12 thread inserts. 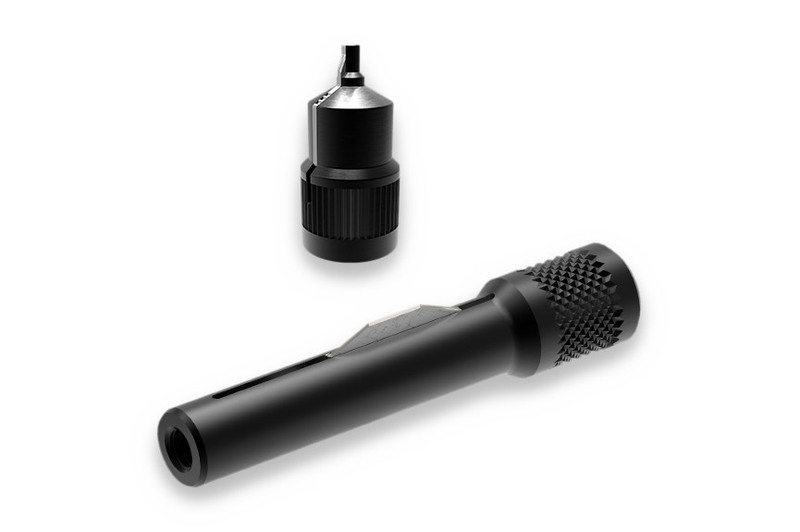 For M 12 to M 16 thread inserts. For processing HELICOIL® Classic, HELICOIL® Plus and HELICOIL® Tangfree thread inserts. 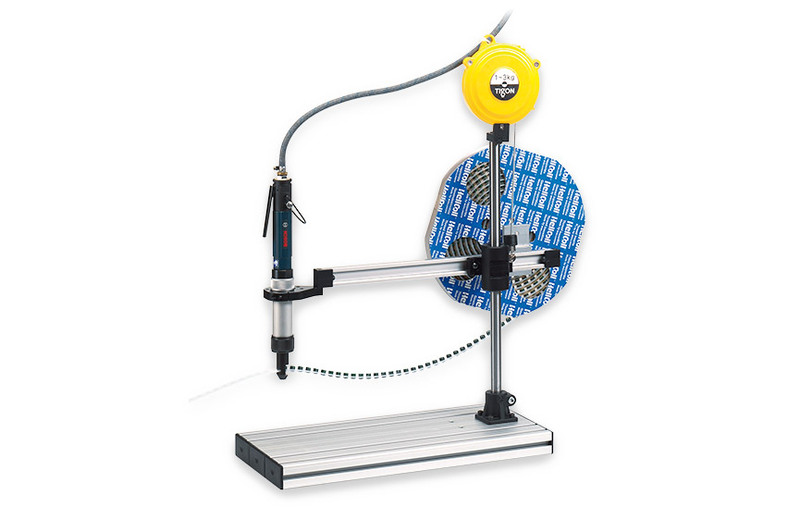 Pitch-controlled manual installation tools for processing loose and magazined HELICOIL® thread inserts. For HELICOIL® Plus and HELICOIL® Tangfree in sizes M 2.5 to M 6 for medium and large-scale production. *The exchange unit is determined according to the HELICOIL® type and size. For the loose processing of HELICOIL® Classic and HELICOIL® Plus in sizes M 2.5 to M 26 x 1.5. The installation tool has a reversible compressed air motor and a size-specific exchange unit. 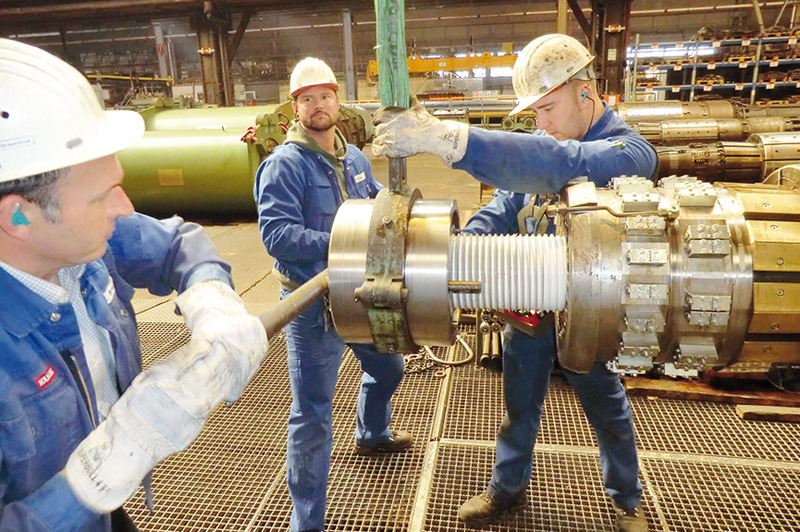 The HELICOIL® installation depth is set by exchanging compensating discs. 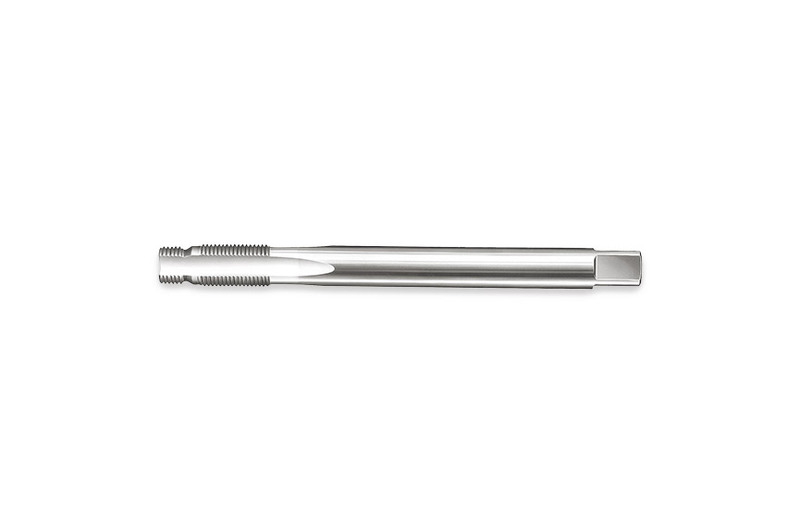 The tool is recommended for medium and large-scale production. For the magazined processing of HELICOIL® Classic and HELICOIL® Plus in sizes M 2.5 to M 10 (STRIPFEED®). 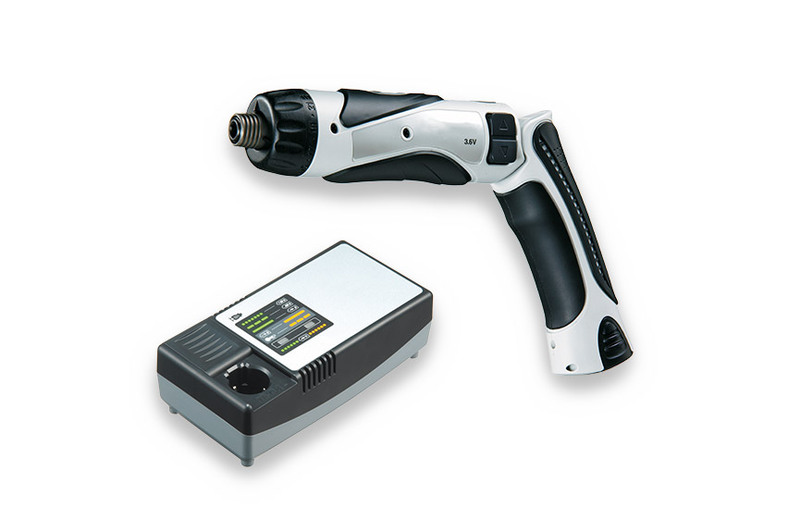 The manual tools are available with and without pitch control. 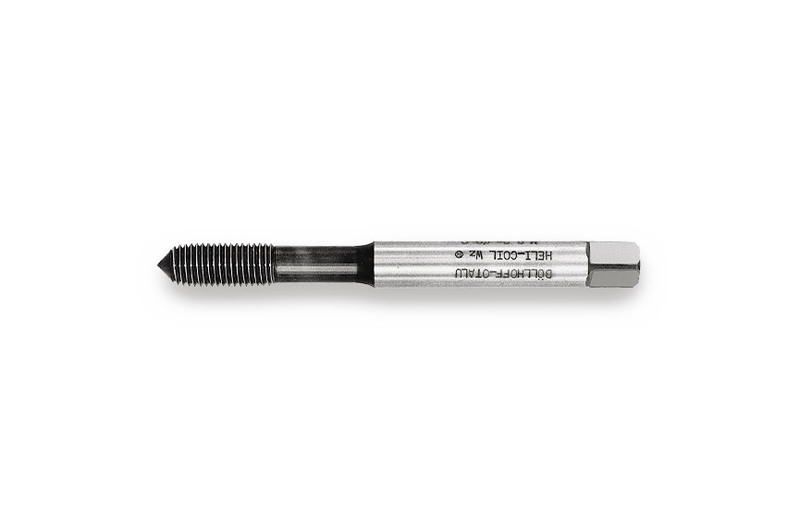 Manual tool with prewinder for M 2 to M 36 x 3 thread inserts. Thread spindle, pitch-controlled and with depth stop. 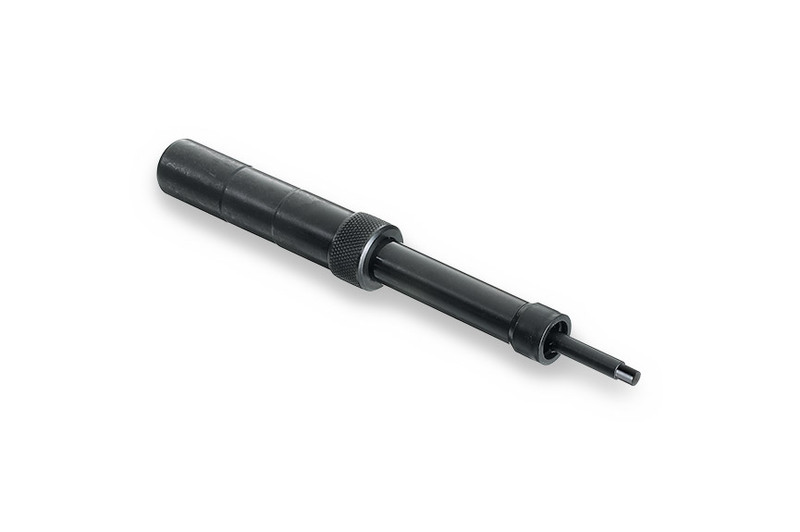 Fly-over tool with depth stop for M 18 to M 36 thread inserts. For quick and easy tang break-off on HELICOIL® Classic and HELICOIL® Plus thread inserts. 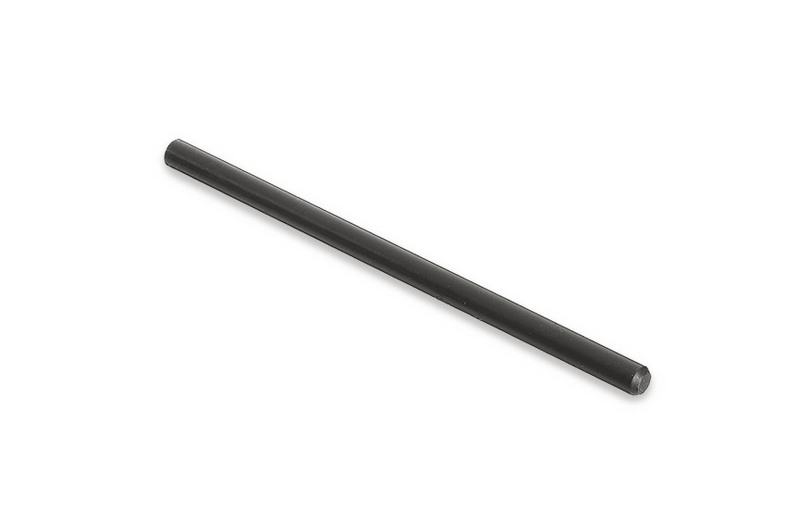 Tang break-off mandrel available for sizes M 2 to M 12. Mechanical tang break-off tool with spring tension, available for sizes M 2 to M 12. Pneumatic tang break-off tool with thrust trigger, available for sizes M 3, M 4 to M 8 and M 10 and M 12. 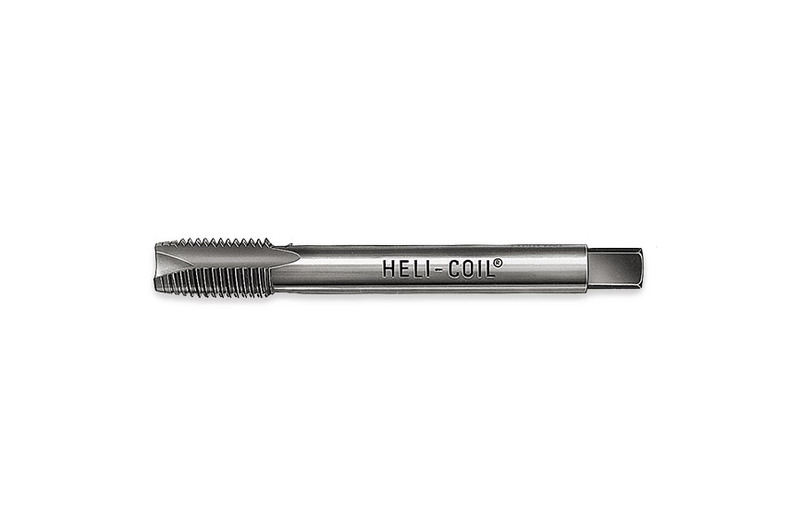 A tool for the manual and mechanical disassembly of HELICOIL® thread inserts. The only difference is in the size range: M 3 to M 5 and M 6 to M 14. Manual disassembly can be carried out using a tap wrench or ratchet, mechanical disassembly with a battery-operated driver tool. For HELICOIL® installation tools. Fast and reliable positioning, especially for smaller sizes. 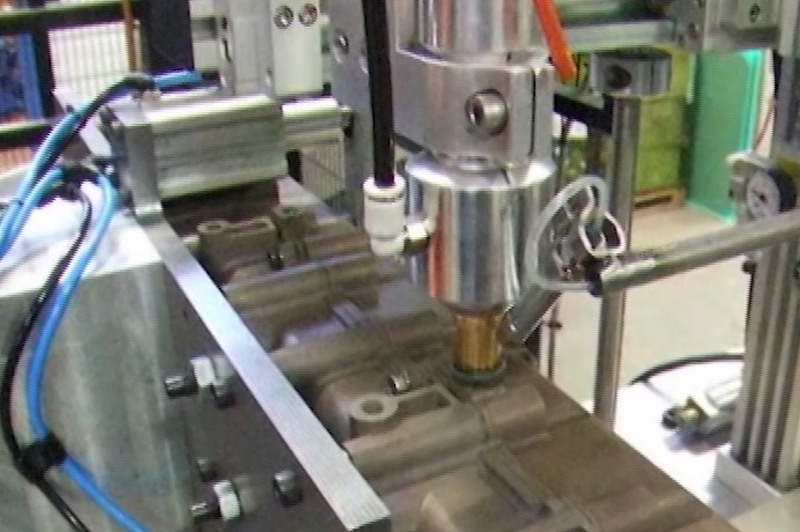 Automatic processing of HELICOIL® thread inserts. 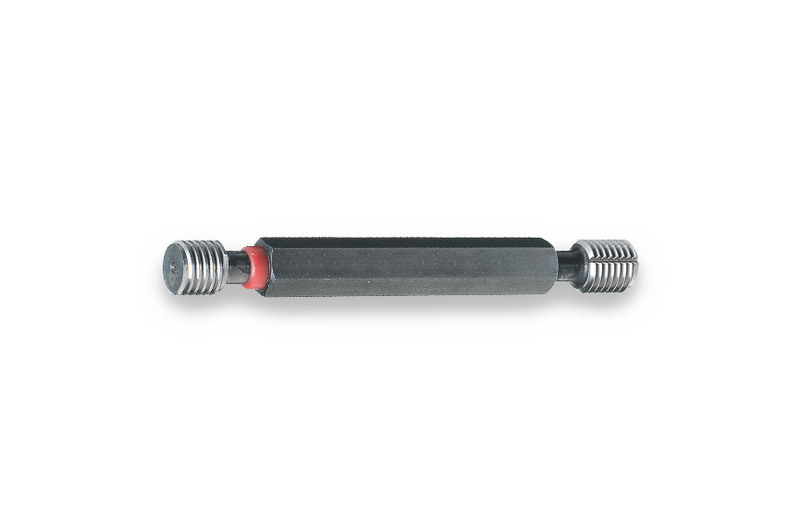 Just as important as the high quality standard is the cost-effective installation of HELICOIL® thread inserts. To this end, we offer modules for integration into automatic processes and complete systems.